Arbab Mirza or Abul Fazl Saqqakhaneh in Shahr-e Kord was built in 1911. 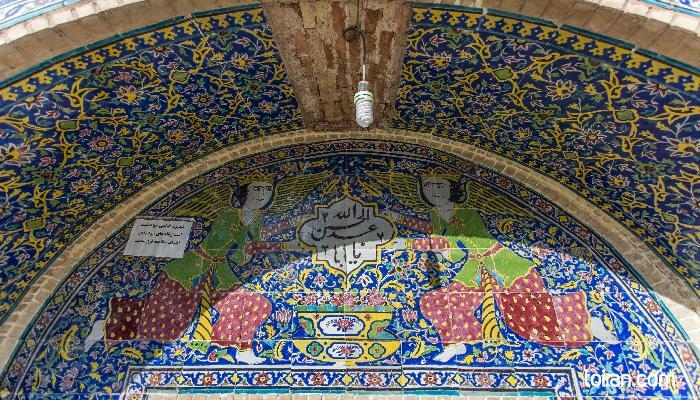 A Saqqakhaneh is a water fountain that has found religious significance in the Shia tradition. Charitable individuals would build these fountains in different parts of the city to honor the memory of the third Shia Imam, Hossein (PBUH) (626-680) and his family members and companions who lost their lives in the Battel of Karbala after having been deprived of water for days. These fountains ensured no one would suffer thirst like the fallen Shia heroes in Karbala. Over the years, people began lighting candles in the Saqqakhaneh when their prayers were answered. Arbab Mirza Saqqakhaneh in Shahr-e Kord is a square structure with a double-shell brick dome. 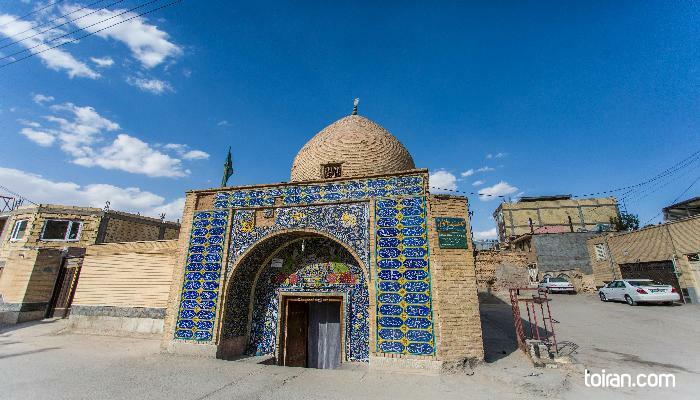 The exterior of the structure has seven-colored tile decorations and a calligraphy inscription of 16th century poet Mohtasham Kashani’s (1528–1588) elegy about the Battle of Karbala. 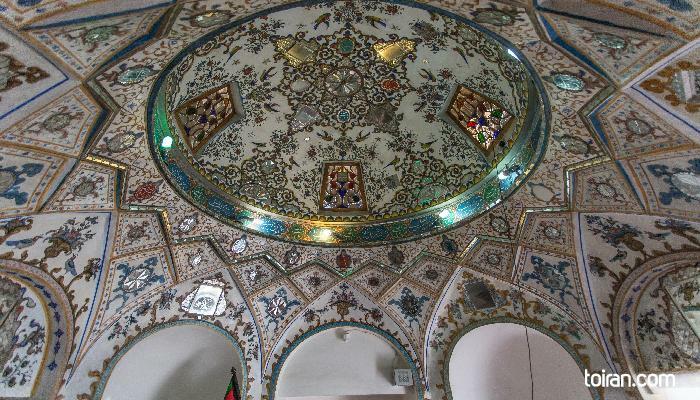 The interior of the Saqqakhaneh has mirrorwork decorations and religious paintings.